You are currently browsing the category archive for the ‘Avebury’ category. Stuff the National Trust says Swindon woman. Tryphena Grommit (Miss), pictured, was shocked by a parking fiasco at Avebury yesterday. “I’m a frequent visitor to Avebury” said Miss Grommit “and I often stay all day and spend lots of money. But yesterday I was on my way to Devizes and wanted a tinkle, I was desperate. I only wanted to pop into Avebury for a moment to use the facilities there but imagine my distress to see the notice – £7 pounds for ten minutes!. It’s an outrage, the blinking jobsworths”. We understand this is not the first complaint and the Trust have said they’ll reconsider if they get enough of them. Watch this space…. “Remember recent criticism rightly broadsiding the National Trust (NT) over actions in the Lake District plus a report of a hit on the finances of the “bullying” NT where “Donations have fallen by £2.5 million a year since 2010, while revenues from commercial activities rose by almost £10 million in the past year”? Interesting then that at Avebury the NT pleads “we are a charity” whilst locals seethe over the closure of public toilets in the High Street. The background includes the NT obtaining alcohol licenses for their premises on top of opening a fast food outlet in the largest stone circle in the world. Let us not overlook the NT have a food outlet in the Manor too as well as a restaurant and shop alongside the nearby barn. 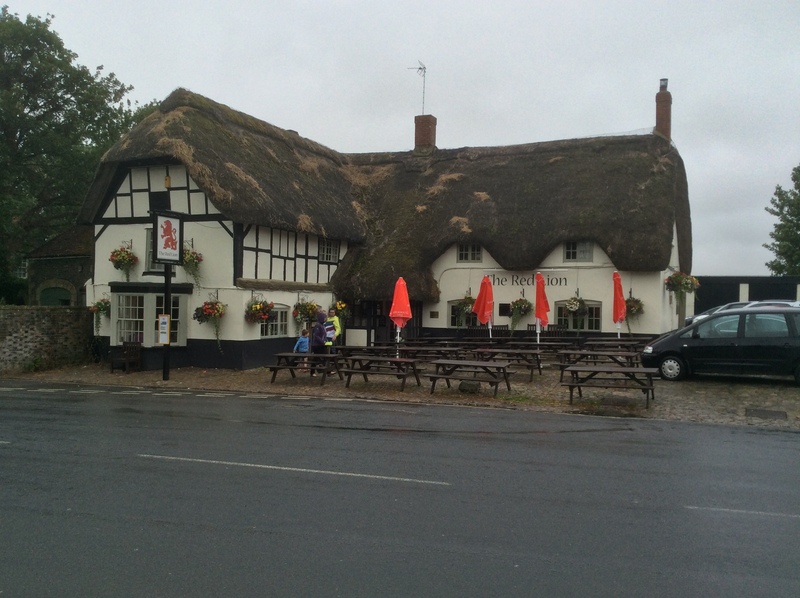 Now we also hear of some sort of snack van “trial” in the car park, which will add yet more competition for the village pub, community run shop and fundraising “teas for tourists”. The writing was on the wall when the NT’s giant promotional signage appeared on a footpath (pictured). Today Historic England, the National Trust and English Heritage will be taking to the platform of the conference celebrating 30 years of the Stonehenge and Avebury World Heritage Site – why? Historic England are endorsing their employer’s wish for a short tunnel that would devastate the Stonehenge half of the WHS. The National Trust has opened a fast food outlet in the centre of Avebury’s henge, amidst the largest stone circle in the world, and also support a short tunnel that would devastate the Stonehenge half of the WHS. English Heritage have summarily failed to protect Stonehenge from damage during annual solstices, and also support a short tunnel that would devastate the Stonehenge half of the WHS. The question this collective act of bare faced cheek should leave on everyone’s lips is whether they can be trusted to truly care for our greatest prehistoric monuments? Q: How do you stop 6 people climbing onto the stones in a ten minute period? A: By putting up signs asking them not to – that are bigger than 1.25 square inches! Q: If a child fell down and broke a leg would NT’s sign stand up in court? The annual Heritage Journal Megameet – for members, friends and supporters of the Journal and anyone else with an interest in prehistoric sites – will return once again this year to the Avebury WHS. The first one was in 2003 so we think this will be the thirteenth, but we’ve slightly lost count. Anyway, everyone’s welcome to come and chat or walk around the henge, the museums or further afield with kindred spirits, be they novices or knowledgeable. We’ll be near the two large portal stones and the beech trees at the southern entrance. Bring a picnic and maybe a couple of books to swap. We’ve yet to hear anyone say they didn’t have a good time so see you there. How about some low impact guardianship at Britain’s flagship sites? This morning, 9th May, this flock of 150 sheep will walk from the megalithic site at Carnac to the megalithic site at Locmariaquer. The animals feed on the vegetation on the megalithic sites of the area and thus contribute to their maintenance. See also the article 7 years ago by our member Graham Orriss, Carmac, curation and display with a refreshingly light touch. National Trust at Avebury to act to prevent Stonehenge solstice spillover? No doubt the Trust will get a lot of stick (and Heaven knows, there isn’t a stick big enough on some occasions!) but it would be nice if the complainants at both Avebury and Stonehenge recognised that there IS a behaviour problem that needs addressing. 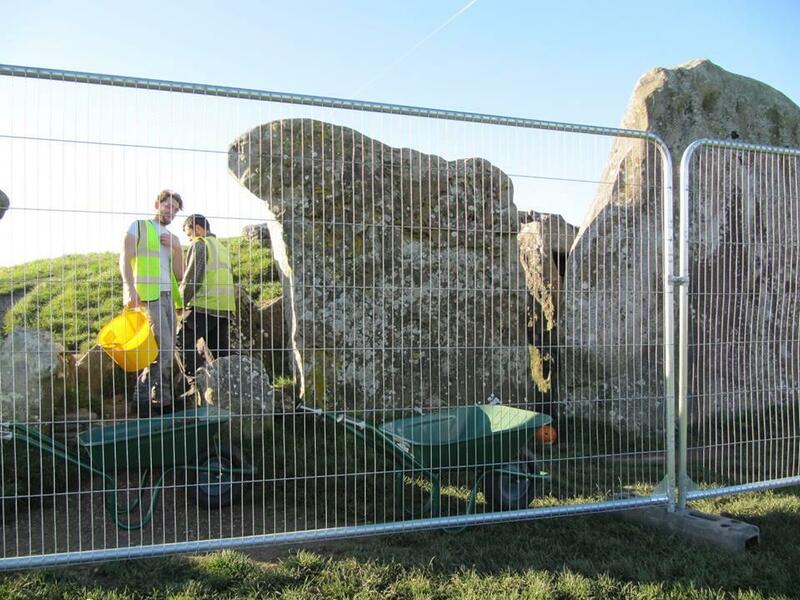 After much delay, West Kennet Long Barrow has been closed for conservation work. The entrance is fenced off while a small team of what looked like three people work on the drainage and 1950s concrete skylight. I was over there on Monday and spoke to someone who said he was an archaeology-engineer. The work appears to being carried out with care and precision, has been jointly commissioned by NT and EH. At the same time a very strong plastic webbing ‘road’ has been laid on the grass pathway leading up to the barrow and a portacabin is up there behind the fencing. Megameet 2015: The Wet One. It was wet, it was cold, it was windy. But that didn’t stop a loyal band of Heritage Action members from congregating at Avebury, twelve years to the very day since a group of megaraks met at the Uffington White Horse to plan what they could do to help combat damage to prehistoric sites. Many of the same people and a whole bunch of others came together at the weekend for the umpteenth (we’ve lost track) ‘Megameet’. Admittedly, several Founder members couldn’t make it this year but they were replaced by a number of new attendees, some very young, which bodes well for the future. But considering we’re in July, I’ve never seen the circle so devoid of people generally on a summer weekend! 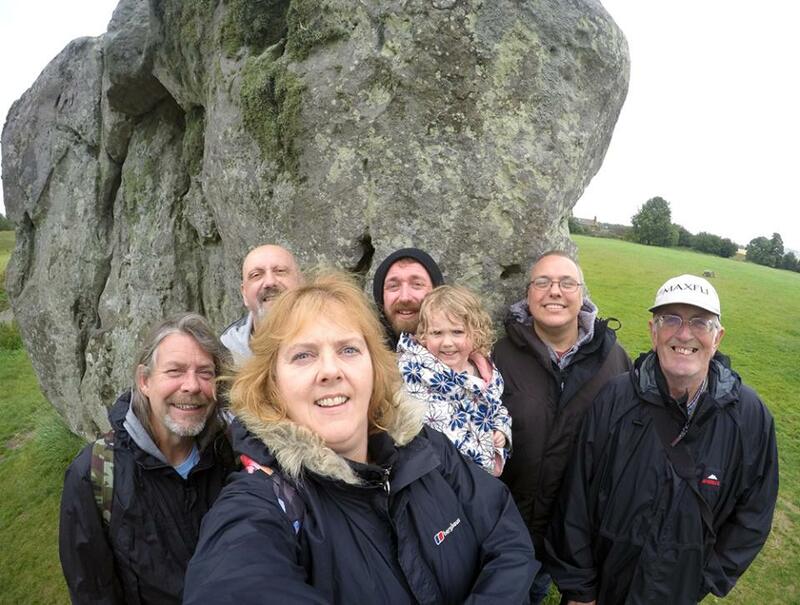 Those who did turn up met with old friends, had an enjoyable lunch in the Red Lion and discussed all things megalithic until the weather cleared enough for some to attempt a brief circumambulation of the henge, including the obligatory ‘selfie’, courtesy of artist and founder member, Jane Tomlinson. But we weren’t the only people to brave the weather. 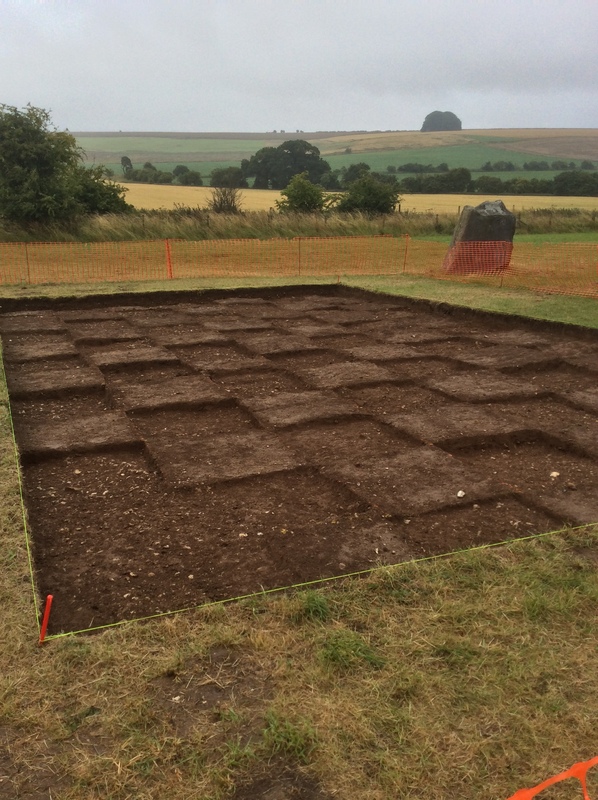 At the far end of the West Kennet Avenue, an archaeological excavation is taking place over three weeks. The Between the Monuments Project – a collaborative research project between the University of Southampton (Dr Josh Pollard), University of Leicester (Dr Mark Gillings), Allen Environmental Archaeology (Dr Mike Allen) and the National Trust (Dr Ros Cleal & Dr Nick Snashall) – is attempting to answer the tricky question ‘Where and how did the people who built these monuments live?’. The main Avenue trench. Faulkner’s Circle is by the dark tree in the middle background, top centre. Two trenches have been opened up, one immediately between the stones of the Avenue, and another off to the side. 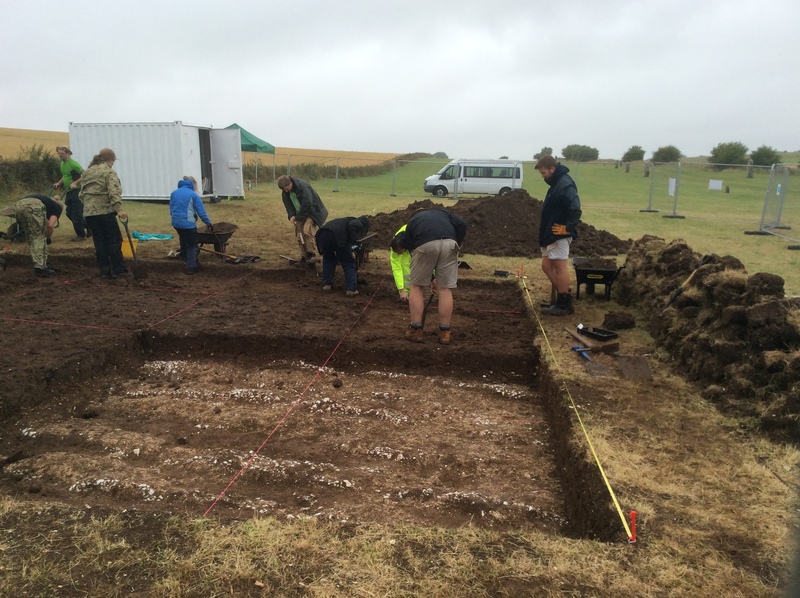 Despite the weather, some of the principals and volunteers were busy mattocking the side trench, part of which has already been excavated down to the natural layer, exposing some ‘periglacial striations’ in the underlying chalk. 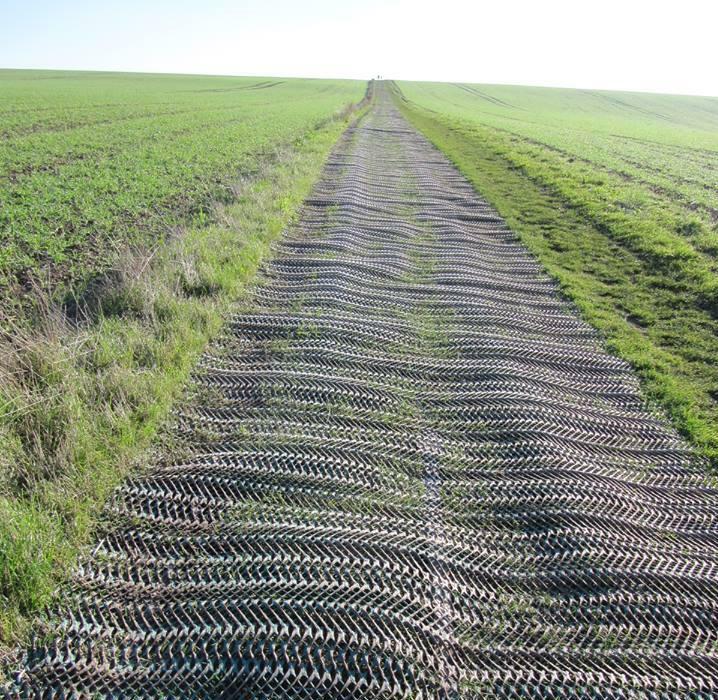 The side trench, showing the ‘periglacial striations’. Sadly, I had no time to stop and chat (and I think they wanted to get on with the dig while the weather allowed it!) as I stupidly had no coat, and a long drive home in the rain ahead of me. But it was good to see everyone again, and I’m sure we’ll do it all again next year, if not sooner!